This specially commissioned piece is definitely not something that you come across every day. 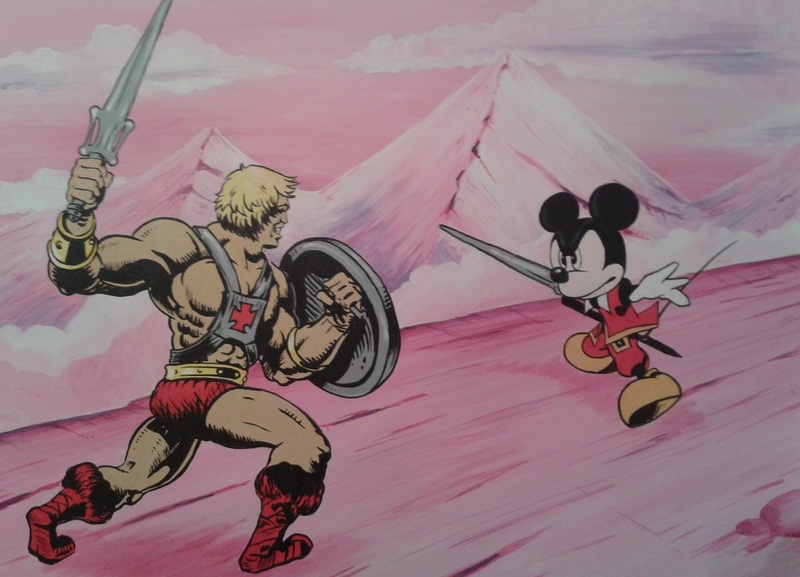 The Master of the Universe vs the Master of the Disney-verse - He-man vs Mickey Mouse, has been done using acrylics on canvas. Even more surprisingly this gift was for a 3 year old girl who had two favourite characters in her life (He-man and Mickey Mouse of course!). I believe her interests have been influenced by her parents love of the 80's.